Coming to the end of the year always puts me in a state of deep contemplation. 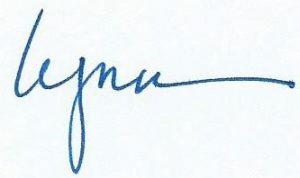 Reviewing my annual goals and assessing my successes and the lessons that went along with all that didn’t quite work out leaves me with a deeper sense of who I am becoming because I can see who I was. I can even see why I did or didn’t do certain things and I can honestly say I know why I am where I am at the end of the year. In all of that, I can be grateful. The fun, the good, the sadness endured, the new and the old. The end of the year process of seizing the day for me means I can see. The next is the more important question … what’s next? We all have dreams. However, most of us choose to give up on them too soon; believing that they are too farfetched, they were just too big or that we’ll never succeed. Dreaming of doing something was designed by God to give you the desire to achieve your dreams. Goals were designed to be stops on the journey that get you to your dreams, your destination. The single most important piece of the journey, the road map puzzle, is easy, yet if you choose not to do, you will never turn your dreams or wishes, into reality. That one piece is ACTION. Learning how to stop wishing and start doing is what essentially separates successful individuals from failures. Being stuck in a dreamland of wishing is never a good thing. It prevents you from doing what can turn your wishes into something tangible. It is also the space where blame, guilt and regret hang out. So, how do successful people make their dreams come true? Here are 7 amazing tips that will help you stop wishing and start doing! It’s been proven in health and wealth circles that the morning is the most powerful part of the day. Successful people have high energy routines and empowering rituals that they use to get their day started off. If you’re not a morning person, you probably aren’t in the habit of making a healthy and nutritious breakfast. If that’s the case, then you need to start doing it. Even a cup of black coffee and some fresh fruit is a better breakfast than most will have. Waking up early and exercising, eating a healthy meal, setting your priorities for the day, will all provide you with energy throughout the entire day. The way you start the day will prepare you for any challenges that you may face. Your brain and your body will be fed and you’ll have the energy you need to do what you need to do. 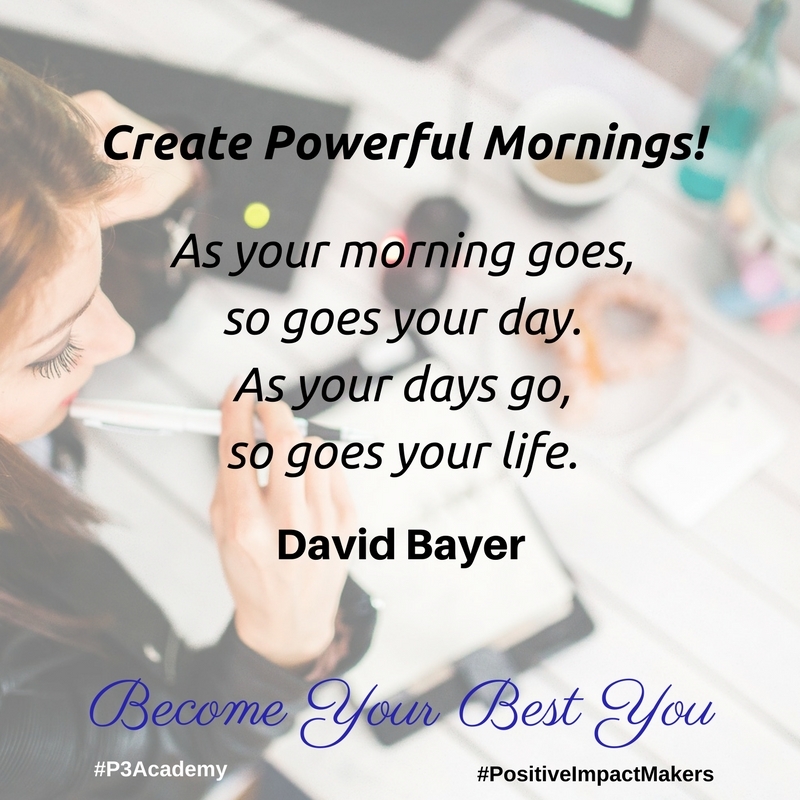 David Bayer, Creator of the Powerful Living Experience, Inc. Magazine’s #3 Top Personal Development Live Events encourages us to “Create Powerful Mornings.” They will be the makings of a powerful life. If you live together with other people, encourage them to join you at the dining table in order to start off your days together. There is power and magic in starting the day off with pleasant family conversation, and possibly even some laughter. We often do things that we either aren’t comfortable doing or simply don’t want to do. 80% of that is the subconscious mind kicking in and this makes stress and pressure build up inside of us. 20% is the 80% causing such discomfort that it becomes physical and/or emotional that causes a conscious decision to do something different and not do what was intended. If you wake up and dread any part of your day, this is for you. To truly succeed in life, learn to breathe and face your fear. Even if you tell yourself it’s not fear and it’s any other excuse, if it stops you or causes you to procrastinate, face it. Push through it and get comfortable doing things you don’t enjoy or know for whatever reason you need (or want) to do but don’t. When you do things in spite of the fear, of by facing the fear, you will eventually transform the fear into a powerful ally. You will see in hindsight that you’ve done things that you didn’t know were possible, much less how. 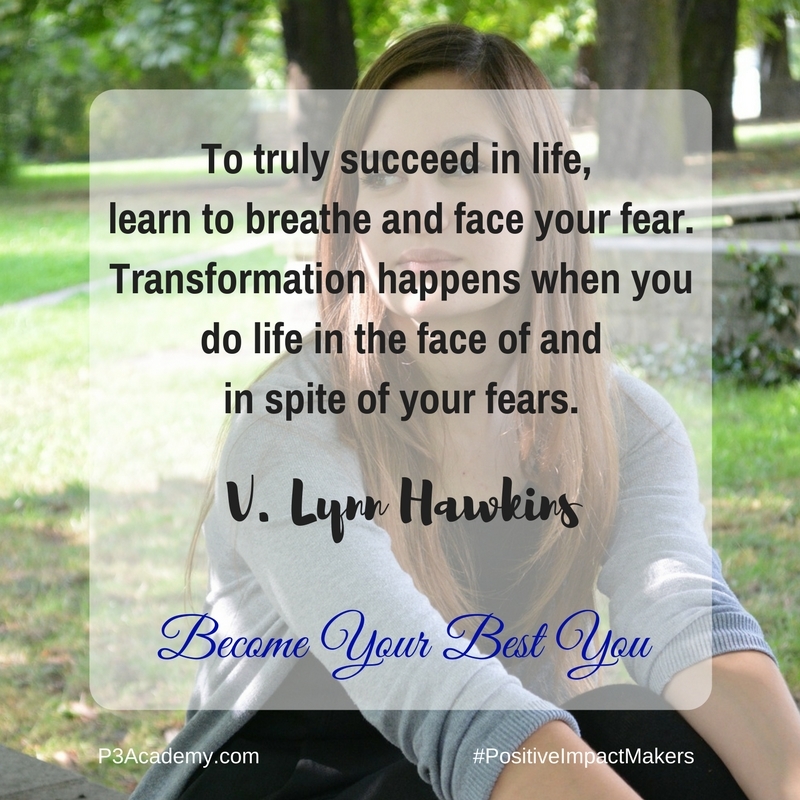 Transformation happens when you do life in the face of and in spite of your fears. These experiences will build your confidence and make you ready to take on whatever challenge life throws at you. Living in the past is a familiar way of moving through life. I’m sure you recall saying things like … ‘in the good ole days’ or ‘back when’ or ‘remember when’ and it caused an emotional response that supported something happening now was bad, or a disappointment. I’m not referring to the times you recall memories and you’re very present with them, for a reason. I’m talking about wanting to be in the past, live in the past and want your now and your future to be a resemblance of the past. Let’s get and be real. The past is past. There’s nothing you can do to change it. What happened to you or what you were involved in will not change. 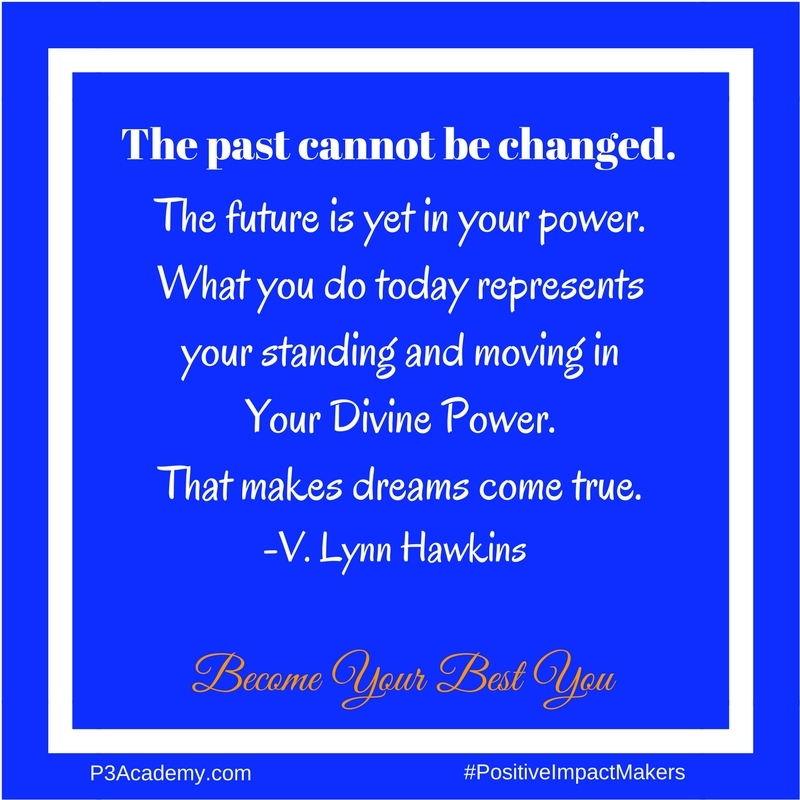 What changes is how you perceive it and whether or not you continue to live in it. If you don’t stop living in the past, you won’t create a better future. Your future gets made by what you do today. Live in and for today, so your tomorrow can be what you want. If you don’t stop living in the past, you’ll never have the opportunity to create a better future for yourself. Your future gets made by what you do today. Setting goals is important. Yes, you can survive without setting life or business goals and you can be content with not progressing or progressing rapidly in life or business. There are so many of us who live lives of contentment and there is nothing wrong with that. Many of us believe that living a life of contentment is living a life well lived. It all depends on what you define as contentment for yourself. And striving is not a success tactic. 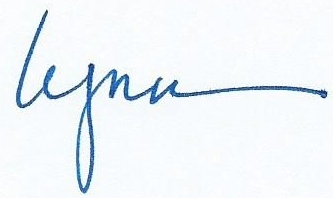 Read more to find out what I mean. Goal setting can sometimes convince you that you’d be living unrealistically in the future and that it is hard to imagine what the future could be because there are no guarantees in life. Even worse, what if you don’t know what you want and haven’t formed the dream for your future. Instead, goal setting will help you decide exactly what you want and what you have to do now in order to pursue living the life of your dreams. Making your dreams into your reality begins with how you live now. The success of it all is when you continue enjoying and loving the life you currently have, while moving in the direction of your dreams. Your quality of life will be a direct reflection of how you’re living for and in the now. If you don’t live for the now, you can get lost on the journey. You might let a sickness derail you or a personal hurt cause you to want to shrink back and hide. You’ll wake up one day and feel like you’ve been living in a fog, feeling that a lot of time has passed since you set your goal and you question what you’ve accomplished. When you are not living for and in the now, you basically risk missing out on so much life. Just as everything is energy, everything must change. Trying not to change and grow is like being stuck in the mud. What’s worse is that the mud can actually feel like quick sand. Trying to change or fix something that can’t be changed is an experience that has its lessons in it. The real downside it that it will almost certainly make you fall into a state of helplessness and/or depression. When you decide to start accepting the things you can’t change, or control the things you cannot control, you will notice a freedom in the surrender and you can become a much happier person. Today is what it is and so is the past, neither of which can be changed. So, now what? 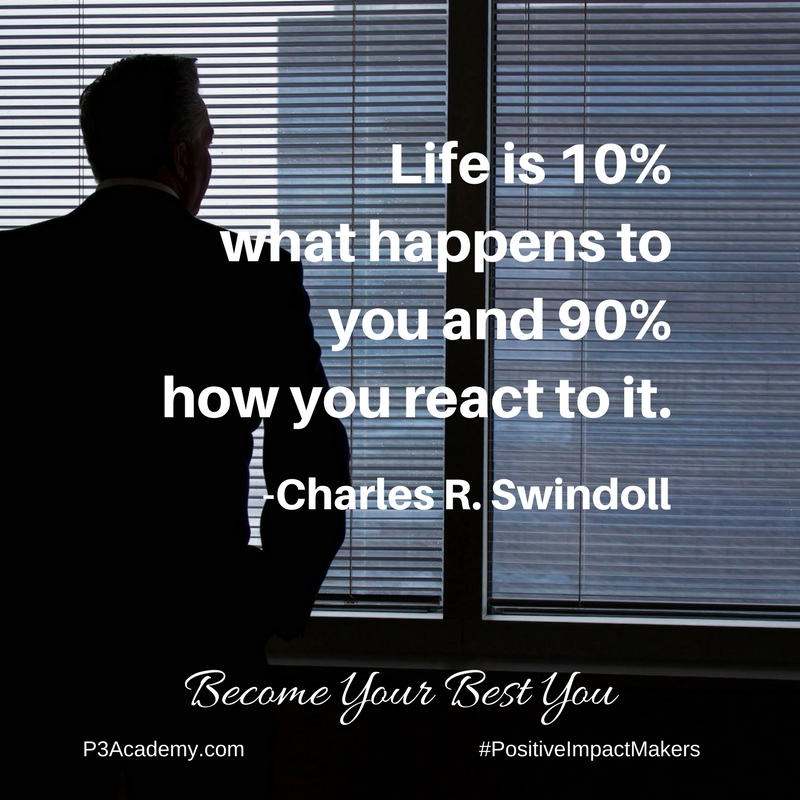 Check how you decide to react. If you’re running low on funds and your next paycheck is half a month away, you shouldn’t feel sad and hopeless. Instead, use your brain to work out a way to survive on the money you have and get on with your life. Do what you can and know that when you do your best, your best is good enough. If you have a business desire and you don’t know how it can come about, accept that you can’t change anyone or anything outside of yourself. Know what you can do and do that believing that the Universe will support you in your efforts. 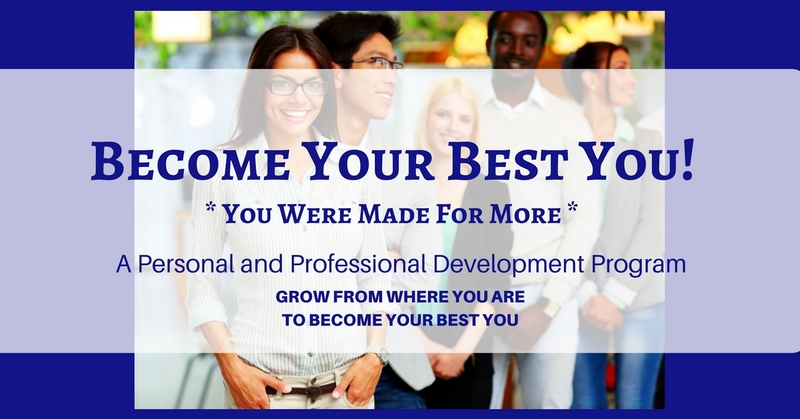 If you need help in figuring out how you can be better at seizing the day, CLICK HERE to find out about our Become Your Best You – Personal and Professional Development Program. Make this coming year your best year ever!